If you have a son or daughter in college, chances increase every year that s/he will participate in some version of study abroad before graduation. As a parent, you’ve already survived that kid’s transition out of your house and to college. Just when that was starting to feel normal, they want to go halfway around the world! For the undergrad, going abroad can be an eye-opening exercise in independence and intercultural understanding. It can be the catalyst for personal growth and development that otherwise might have taken many years to unfold. I’ve seen it shift students’ perspectives on matters as quotidian as being open to trying new foods to those as dramatic as inspiring a change in major, career path, and life’s purpose. Although the net effect of studying abroad is almost always positive, things can and will go “wrong.” Most students will not face the tragedies of a parent’s worst nightmare, but when they’re an ocean and many time zones away, it doesn’t take a tragedy to leave you feeling helpless and worried. So, what can you do to help them prepare for their adventure abroad? Encourage self-sufficiency. For many students, the level of autonomy and responsibility they’ll have while abroad will be higher than they’ve ever experienced. Faculty and staff won’t be around to offer the menu of options they’re likely accustomed to, and consulting you won’t be as easy or as relevant. In order to take full advantage of the opportunity, they’ll need to be able to figure out what they want, and then go out and make it happen. Talk about health care. At home, your kid probably knows where to go when she’s sick and is familiar with standard treatment options. In another country and culture, navigating health care can be intimidating at best, and the way acute and chronic illnesses are handled may differ from U.S. standards. Make sure she understands how her health insurance will work while she’s abroad. When she’s sick and in need of a doctor, neither of you will want to take the time to figure that out. Decide how you’ll communicate in emergencies. 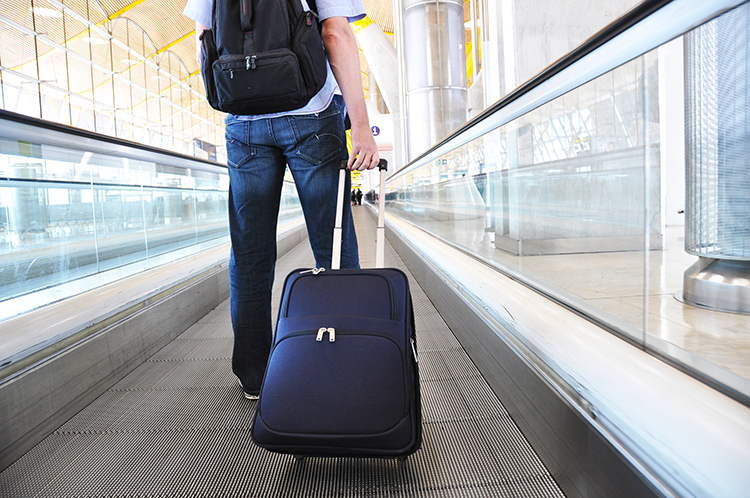 What will you do if a family emergency occurs while he’s abroad? What if he gets robbed and has no phone and no access to money? What will he do if there’s a natural disaster or terror-related incident where he’s living or traveling? How many days can you go without hearing from him before you’ll start to worry? Help them practice meaningful risk-taking. Your college student has likely had a multi-layered safety net under her for her entire life. When she’s abroad, many of those layers disappear. I’ve seen this result in two extremes: students who are too afraid to leave their rooms or do anything on their own, and students who have no fear and end up trusting people who mean them harm, or participating in dangerous activities. Help your kid avoid both extremes. Talk with her about how to assess risk in any given situation, how to trust her instincts, and how to find the balance between fear and exploration. Be prepared yourself. Make sure your passport is valid for at least six months past the end of your child’s study abroad term, so that if you need to travel to him in an emergency, you can do so without delay. Learn about the country, city, and culture he’ll be visiting. When he’s immersed in that culture and needs support or advice, you can’t be as helpful if your perspective is singularly American. Recognize where your input can help, and where it might hurt. Do your best to let your kid step up to take full advantage of and responsibility for this experience. Finally, encourage self-reflection. The study abroad term, whether it’s a matter of weeks or months, will be over in a flash. Encourage your daughter or son to take the time (once a day, once a week, every time they’re on a train…) to think about what they’re experiencing and how it’s affecting them, and to journal or record those thoughts in some way (other than blogging or sharing on Facebook — when it’s written for an audience, it will never be as authentic). Not only will they have a better understanding of their own worldview, but they’ll be able to see their growth and development over time, and more clearly articulate how studying abroad affected them. After working for nine years in Italy with Americans studying abroad, I wrote a whole book about this. It’s available in print and on Kindle (link below). I also coach students who are headed abroad (and their parents). Find me on Twitter or email me to talk about one-on-one preparation.